Gregory John Maichack is a portraitist and painter working primarily in pastels. He has trained with such notables in the field of pastel portraiture as internationally acclaimed Daniel Greene, the Copley Society’s Constance Flavell Pratt and Foster Caddell. 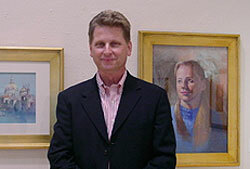 Maichack is a member of the Portrait Society of America, Academic Artists Association, Lyme Artists Association, Connecticut Pastel Association, Pastel Society of the Southwest and the Degas Pastel Society. He has been in many national juried shows and has been awarded numerous Massachusetts Cultural Council grants and is an MCC Gold Star Program Award nominee. Gregory John Maichack currently lives in western Holyoke, Massachusetts. 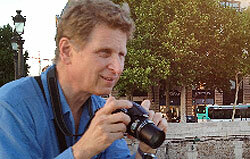 Greg offers workshops throughout the New England area. He offers private tutoring to interested students. His work is available for purchase or he can do a commissioned piece at your request. Please contact Greg for any of these services. Award-winning artist Gregory John Maichack is a portraitist and painter working primarily in pastels. Greg teaches his techniques in workshops all over New England. He paints commissioned pieces as well as selling his own works on both paper and canvas. New Workshop – Monet’s Mirror: How to Pastel Paint Monet’s “Water Lilies” you learn all the necessary strokes and techniques to produce an Impressionist pastel painting and an effect Monet prized the most, Impressionist Shimmer.